Identify the marketing campaigns that are generating new patients for your medical practice by tracking actual patient contact with your practice via phone calls or online form fills. 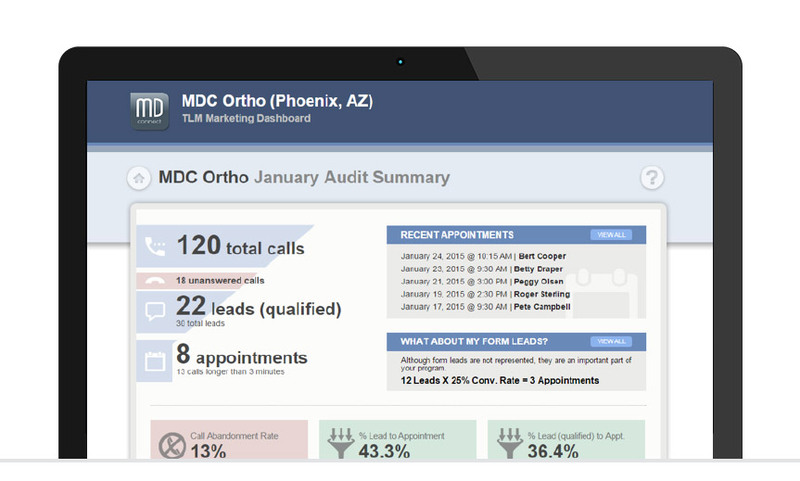 With MD Connect's Performance Portal™ Lead Tracking system, you can track all your medical practice’s marketing programs (print, radio, TV and digital) through one integrated, secure, web‐based portal. 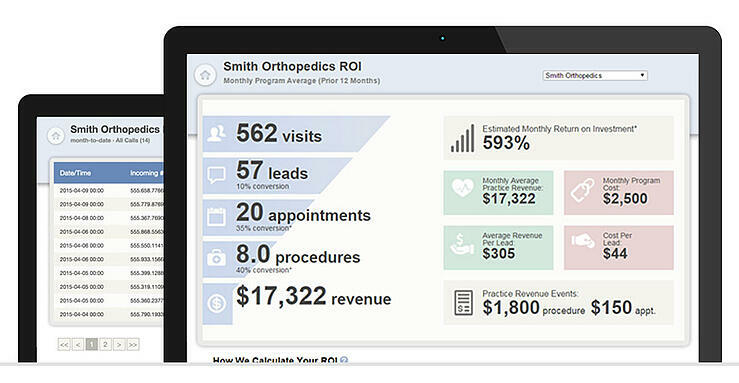 Compare your marketing programs and identify which is having the largest impact on your practice with our return on investment (ROI) summary. Recorded inbound calls, phone audit reports (with lead scoring) and more provide the tools necessary to help understand which leads are converting (to appointments) and why others are not. We can help you benchmark your results versus other comparable medical practices and identify areas for improvement. Free Responsive (Mobile-Friendly) Website with Purchase of Digital Marketing Program. Click the link to learn more!